I don't know about you, but I love a good Pottery Barn knockoff, especially when it costs mere cents. That's exactly the case for this mini PB-inspired Fourth of July Hanging Burlap Flag. 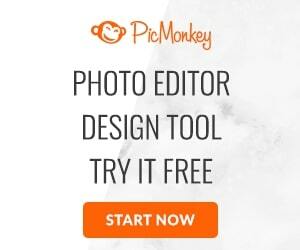 PB's $34.50 price tag will leave you shaking your head. 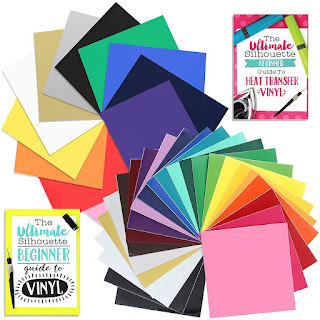 Here's a list of supplies (as always, I have gathered them into a shopping list for you on Amazon so you can order them all or just what you need). Cut a piece of freezer paper the size of a piece of printer paper (about 8.5" x 11). 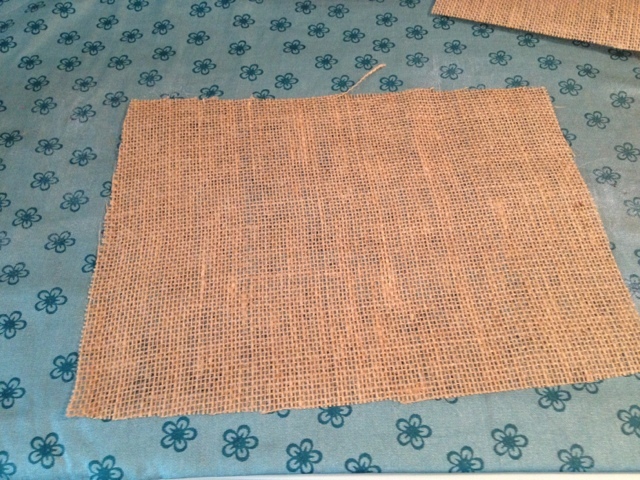 Then cut a piece of burlap the same size. 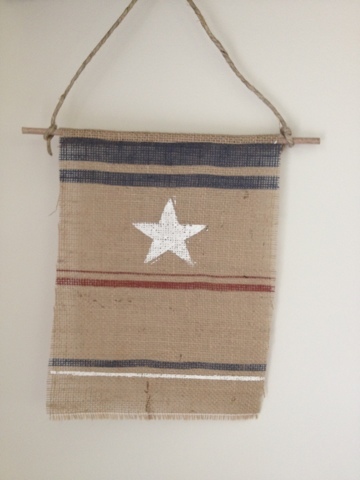 I actually cut mine about 8.5 x 12 to make the flag just a little longer. 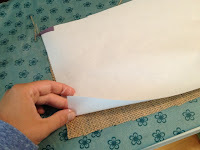 It can be longer than the printer paper, but it can't be wider since it won't feed through the printer. 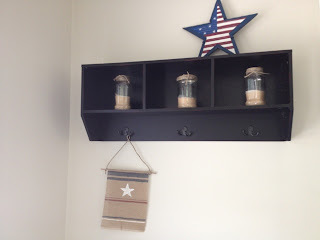 The next step is the same process I used for the Fourth of July Stars and Stripes Bunting. 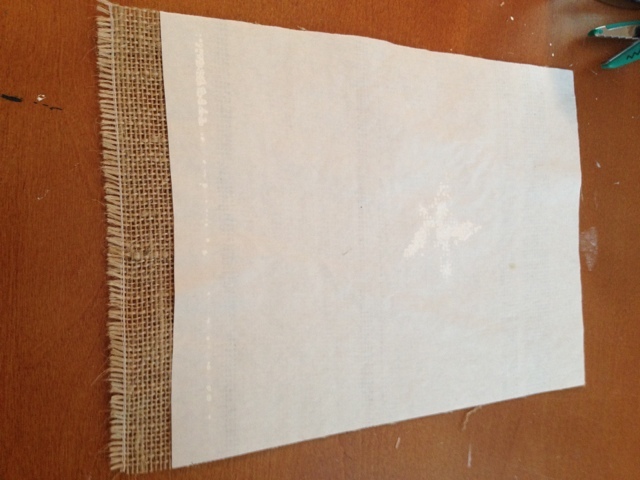 Place your freezer paper, shiny side down, onto the burlap and iron it. 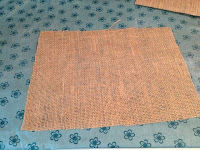 The freezer paper will start to wrinkle a little as it adheres to the burlap. 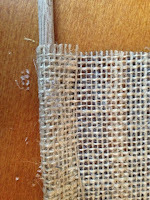 Trim away any burlap that is hanging off the sides or the end that will first feed through the printer (again the other end is okay to be a little long). 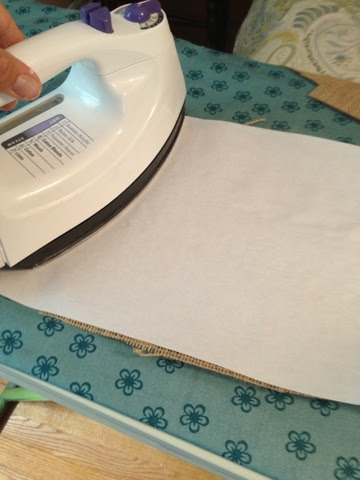 Leave the freezer paper on while printing! 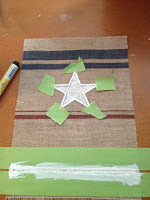 Use painters tape to tape off of a thin line under the bottom blue stripe. I actually extended my tape so it kept my flag in place on my workspace while I painted on the stripe and star. Cut out the star carefully to create a stencil or cut out the star and then use a fabric or paint marker to trace around it and then paint it in with white acrylic paint. Let the paint dry before peeling off the tape, stencil, and freezer paper. 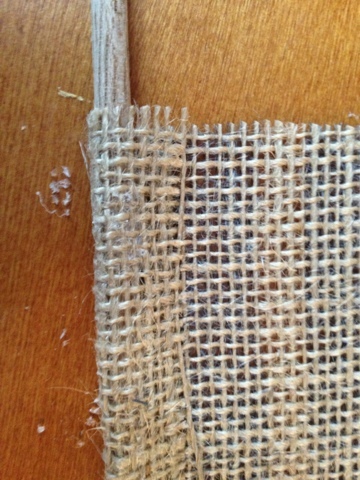 Now it's time to add the dowel. Since I wanted this to be a no-sew project, I used hot glue to attach the dowel to the top of my flag. First I glue the dowel on. 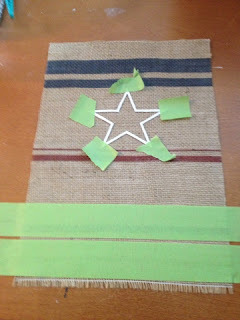 Once that was set, I added a second line of glue and rolled my dowel so the top of my flag appeared to be folded down. 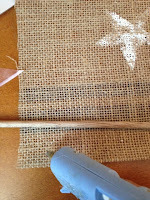 Finally, just add your jute, twine or ribbon by tying it onto the dowel. 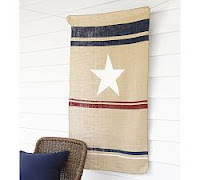 No go hang your festive Pottery Barn knockoff Fourth of July burlap hanging banner proudly. 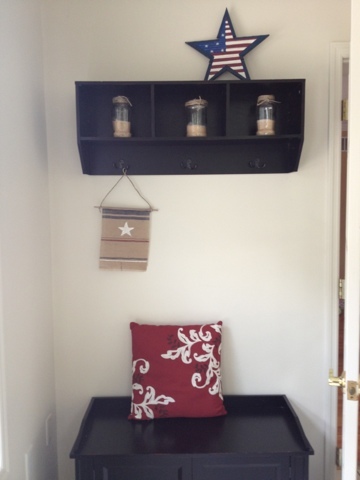 Thanks for stopping by Two It Yourself. 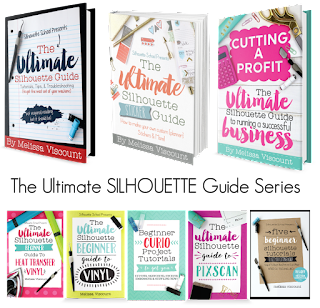 If you like what you see we'd love for you to Pin it and share it with the world. 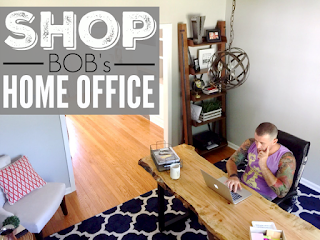 Also, join us on Facebook, Twitter, Pinterest, and Instagram...whew that's a mouthful...but, yes, we're everywhere!